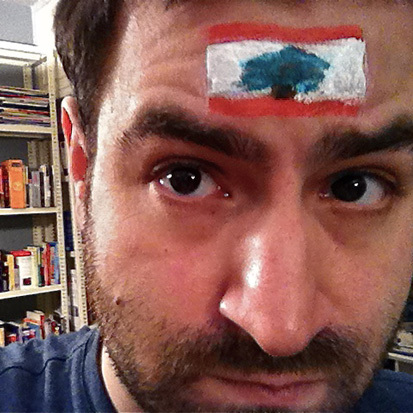 It’s Independence Day, when Lebanese of all religious, political, and ideological backgrounds sing the National Anthem. “Kulluna lil watan,” goes the first line, all of us for the nation — and we’re all in agreement on that. However the differences arise when we’re asked what that means: Who is this kulluna and what is this watan we pledge our lives to? Well the Lebanese flag says it all. There’s the red team, which preaches forging forward against every threat, even if it means burning to death. Then there’s the white team, which argues peace above all, even if it means drowning into the background. Those are colors we see on many flags the world over. But then there’s the green team. It stands tall, firmly rooted to its place, refusing to move come red hell or white water. Kulluna lil watan. Thank you Tala both for stopping by and for your kind comments.